Newly Refurbished 6 bed house. 6 large bedrooms with double beds, 1.5 metres of wardrobe storage space, large modern desks and large bookcase and bedside cabinet. The large lounge has real leather sofas, and is cosy and tastefully decorated. 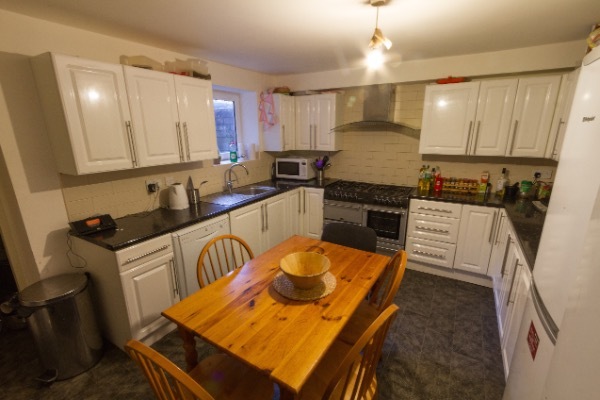 The kitchen is equipped with a modern kitchen with 2 fridge freezers, a dishwasher, 8 ring cooker, a microwave and a table for 6. There is also a separate utility room with washing machine and tumble dryer. There is also a large fully tiled bathroom with large shower, WC, wash hand basin and bath and a separate shower room with shower, WC and wash hand basin. There is also a secure bike store in the garden for at least 4 bikes and a rear yard suitable for BBQ's.